Sri Lanka, rush and reed plants play key role in traditional craft industry, making mats, bins baskets and other products. 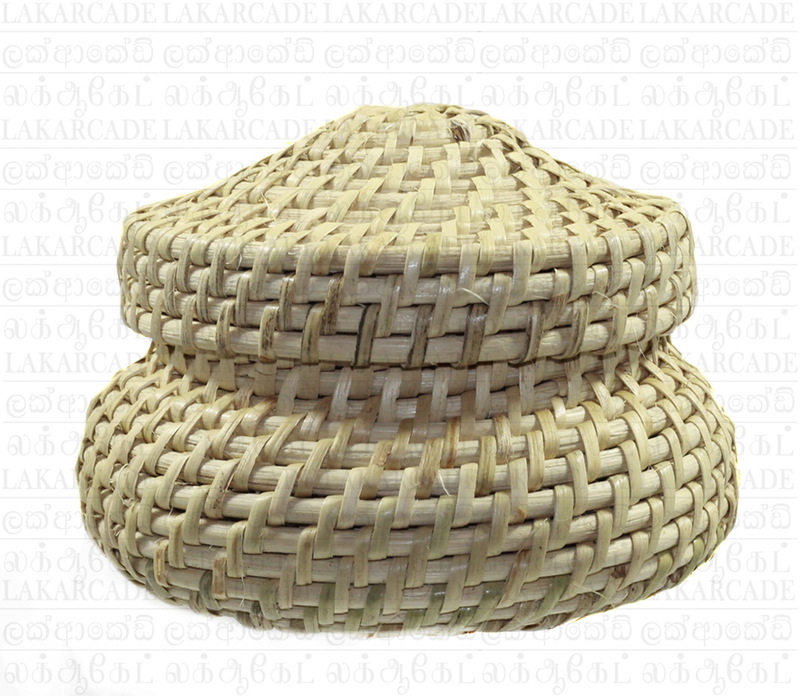 This Kurani was used as a safe storage box in ancient Sri Lanka, This cane kurani hand made from Sri Lankan Artisans. More than any other metal, brass adds a shine to a home. Every Sri Lankan family owns a collection of traditional brass-ware, often a treasured heirloom passed down generations. This Brass Candle Stand traditionally designed and manufactured in Sri Lanka. This wooden statue is made out of "Mahogany" wood and carefully hand caved. Rush and reed plant species were once abundant in the wetlands of Sri Lanka and incorporated into the rice paddy fields, providing farmers with an additional resource to create household goods such as bags and mats. Above hand made reed cane mix bag was hand woven by a Sri Lankan Artisan. Cane Laundry Basket is handcrafted by sri lankan artisans. The product is water resistance and highly durable. Brass oil lamps are used in favorable moments and solemn occasions. This Oxidized Hanging Brass lamp is crafted by skilled Sri lankan Traditional Craftsman. Rush and reed plant species were once abundant in the wetlands of Sri Lanka and incorporated into the rice paddy fields, providing farmers with an additional resource to create household goods such as bags and mats. Above hand made reed lunch bag hand woven by a Sri Lankan Artisan.